Trichotillomania is a hair loss condition that’s also diagnosed as a psychological condition. As it causes individuals to pull their hair involuntarily, the repeated hair pulling leads to hair loss in the areas that are manipulated on a regular basis. The repeated pulling out of one’s hair results in noticeable hair loss. There is an increasing sense of tension immediately before pulling out the hair or when attempting to resist the behavior. Pleasure, satisfaction, or relief is a direct result of pulling out the hair. The condition is not caused by another mental or medical condition. The main cause of this disorder is thought to be anxiety. There are other theories that the condition is brought about by genetics, OCD or stress. The diagnosis of trichotillomania is based on a history of hair pulling, observation of the patients’ behavior and microscopic evidence of broken hair at the affected area. Cognitive-Behavior Therapy (CBT) – Therapy that seeks to alter the behavior of the person by identifying and focusing on the triggers for hair pulling in the patient. The attending doctor seeks to redirect and form positive responses to the triggers. Medications – There has not been one particular medicine discovered to work for all Trichotillomania patients. Consult with your physician to see if any medications are appropriate for the treatment of your symptoms. A hair transplant is not recommended if this psychological condition persists. 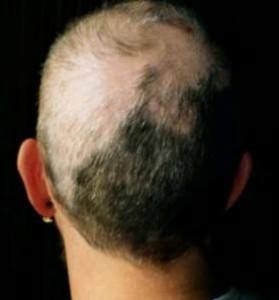 Hair will regrow in many cases after the treatment of underlying causes and when a patient with trichotillomania stops with his/her hair pulling behavior. However, hair regrowth is not always complete in these patients and constant traction on hair follicles may cause permanent hair loss. We do not recommend a hair transplant for at least 6-12 months after the patient stops the hair pulling behavior. We also prefer to wait until after successful completion of treatment for the underlying psychological condition. We would like to re-evaluate the condition after 6 months from the discontinuation of hair pulling behavior. If there is no clinical evidence of new balding patches following the waiting period and if a microscopic scalp analysis shows no new lesions, a hair transplant is an option. 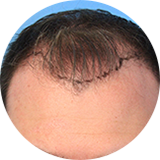 A hair transplant can be considered in stable patients only if the patient is recovered from the active phase and not at risk of pulling hair anymore.